These are two photographs of a savoury Indian snack, made out of sev (fried made out of lentils) and murmure (puffed rice) and mixed with sweet and sour chutney. It is served with finely chopped onions, tomatoes, coriander. 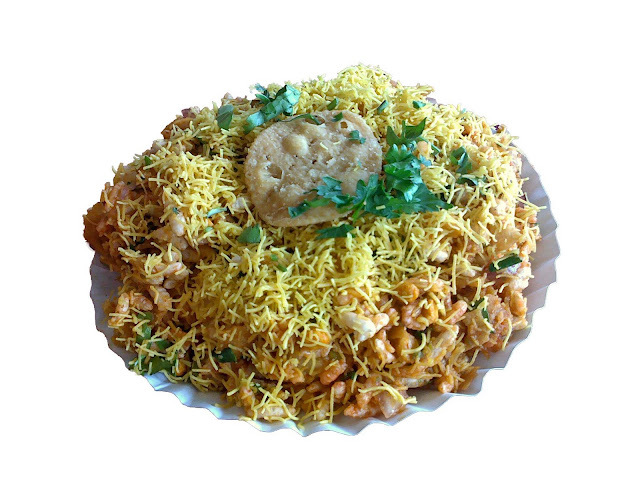 The first image is a cut-out of a plate of Bhel. 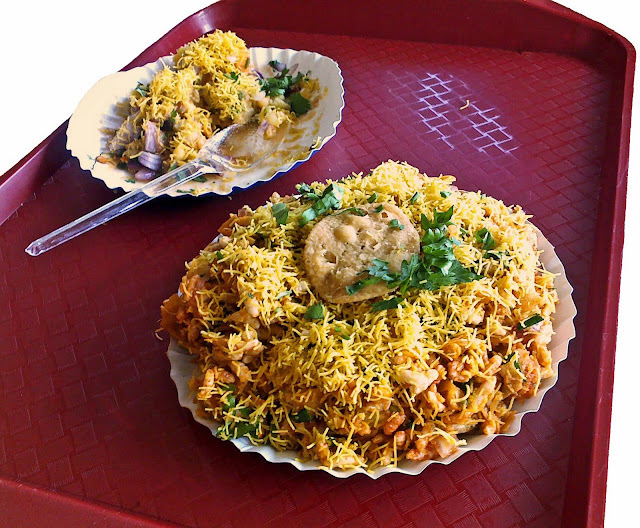 The second one is also a cut-out, but of two plates of bhel, one with a plastic spoon, and served on a red plastic tray. Related Images: Snacks from India or a snack from South India, which can also be a meal in itself - Masala Dosa and Sambar or click the label "Food."